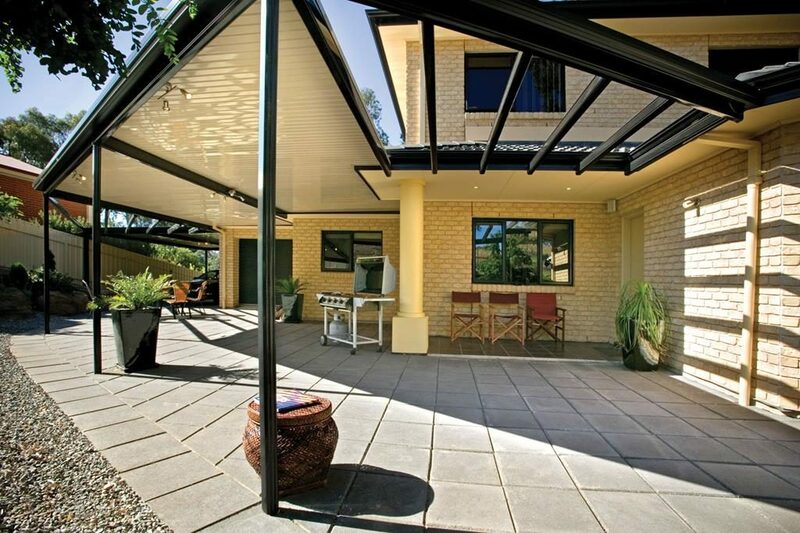 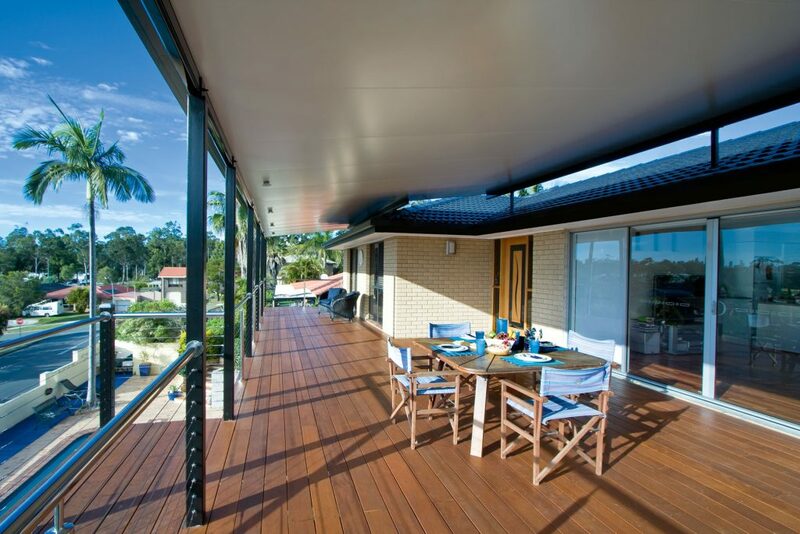 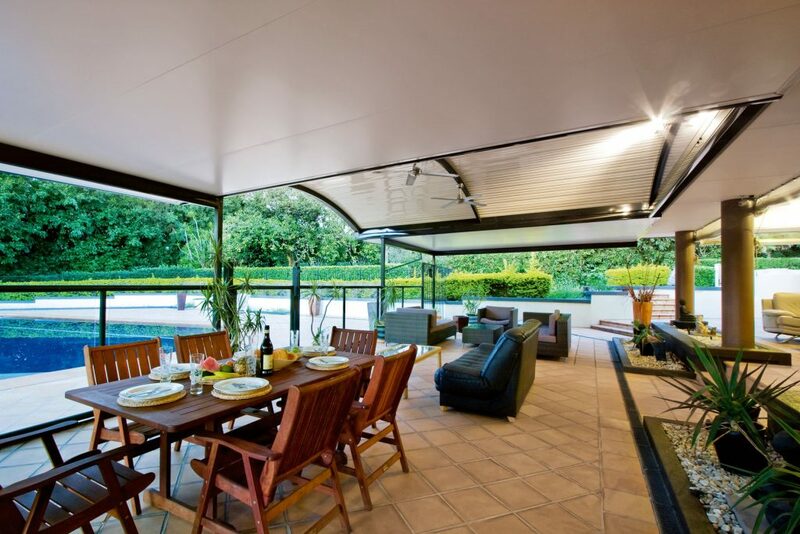 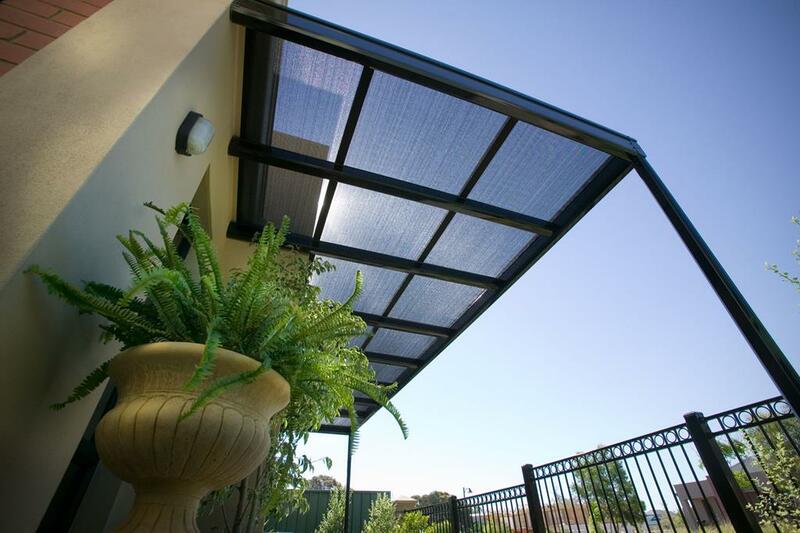 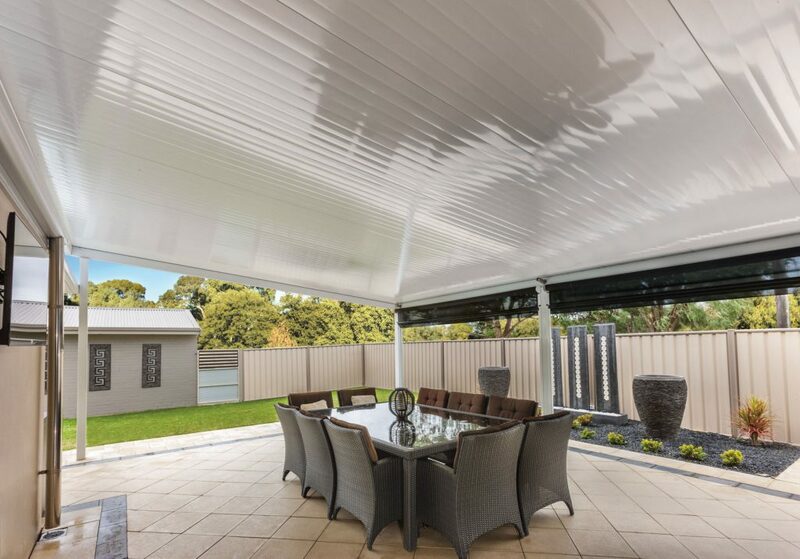 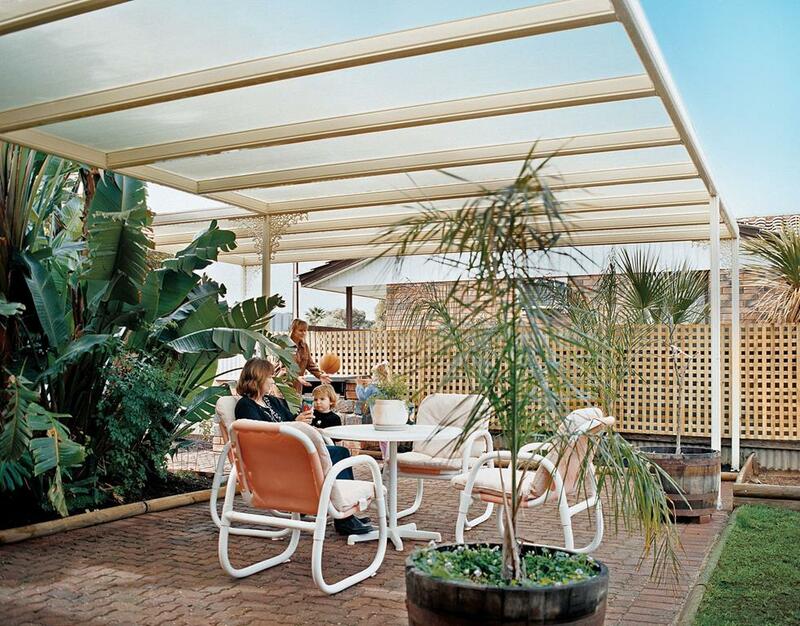 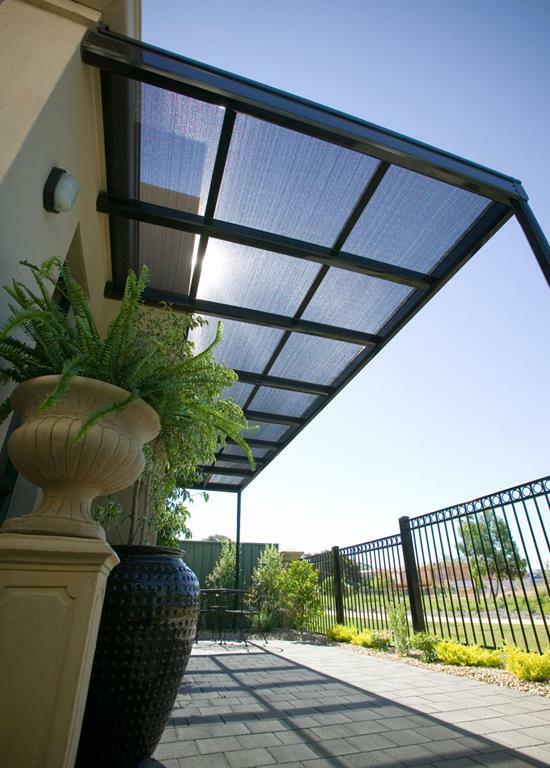 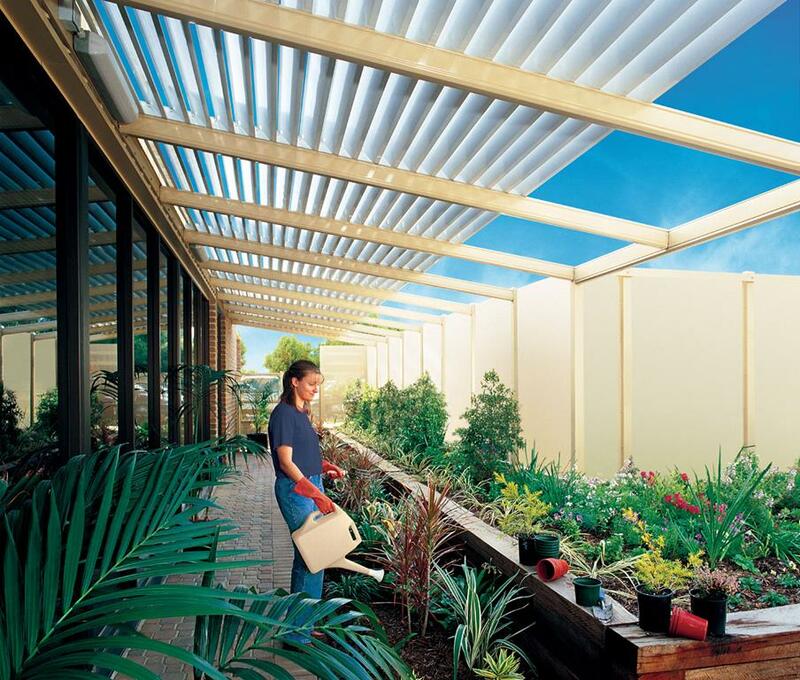 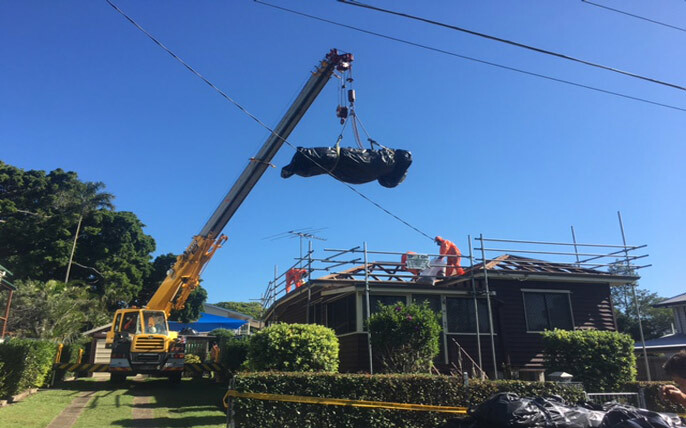 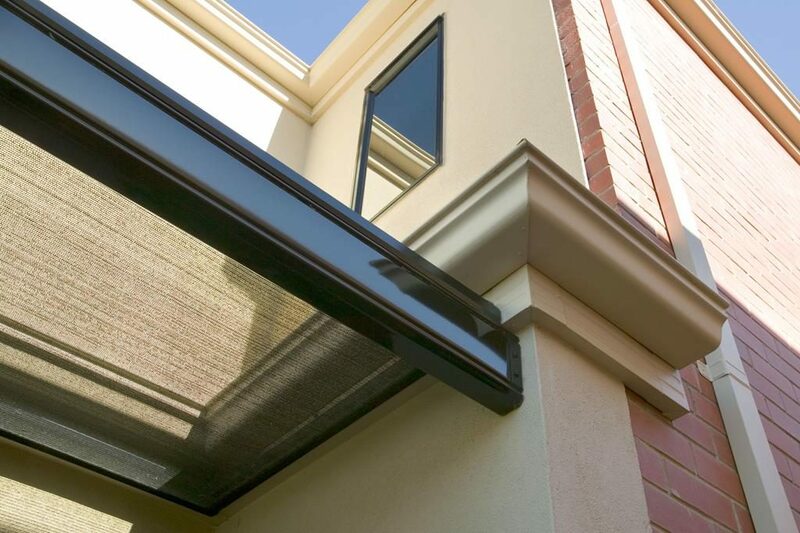 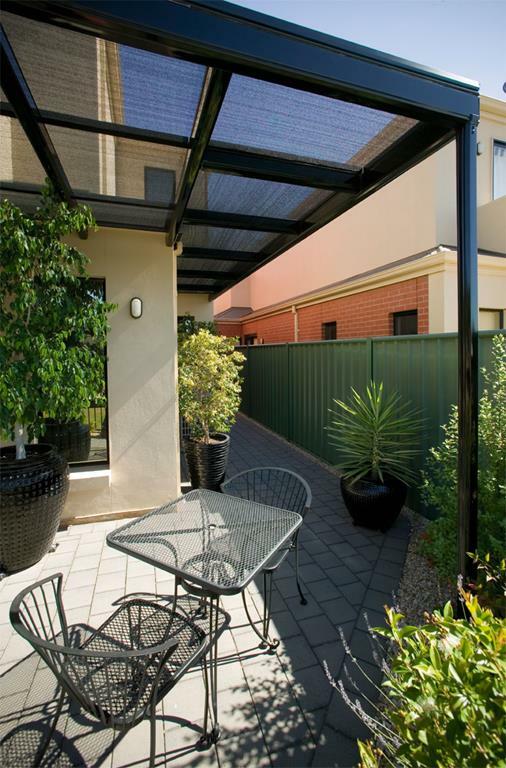 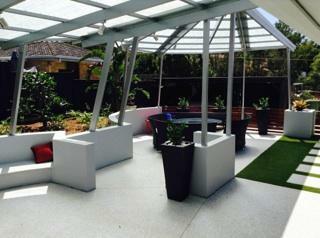 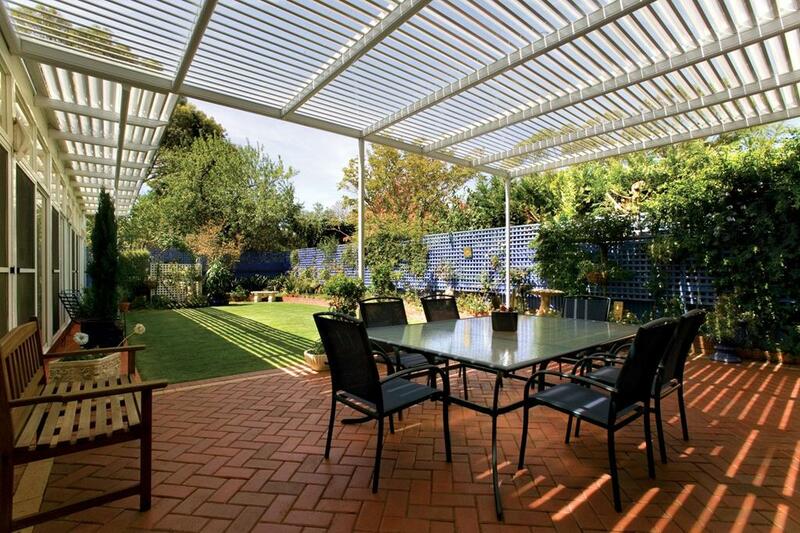 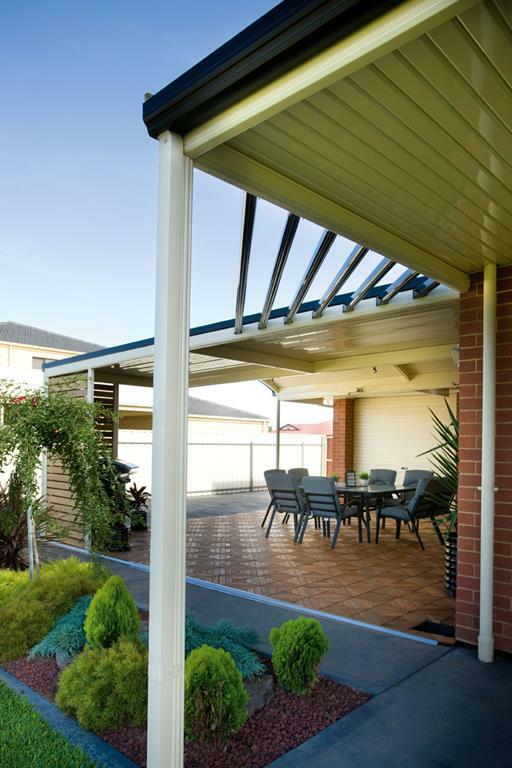 If you are looking for a new patio in Brisbane, or some extra outdoor space to be added to your home, the Stratco Outback Flat Roof Patio, is the perfect choice, providing an attractive, functional space that extends your home. 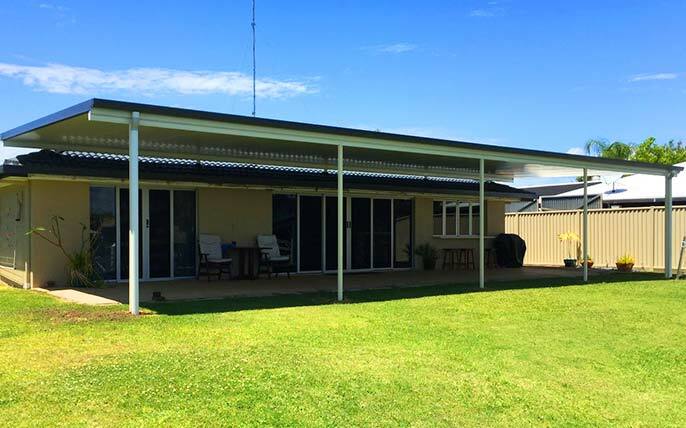 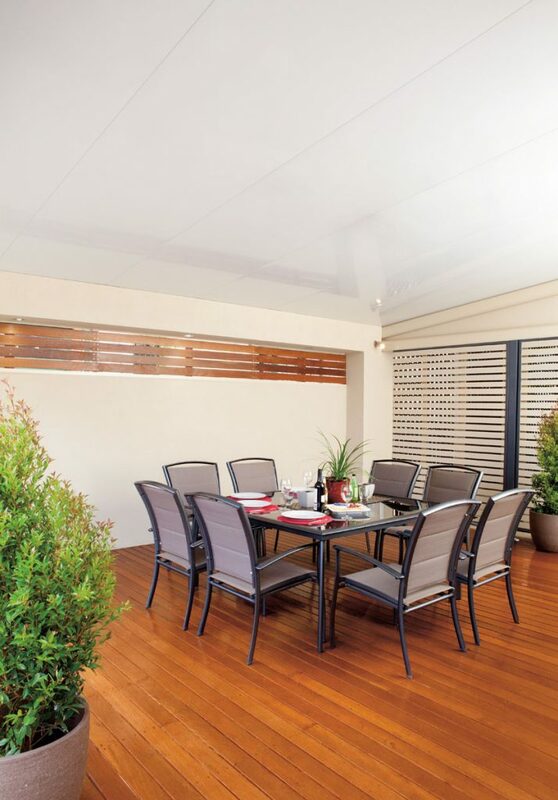 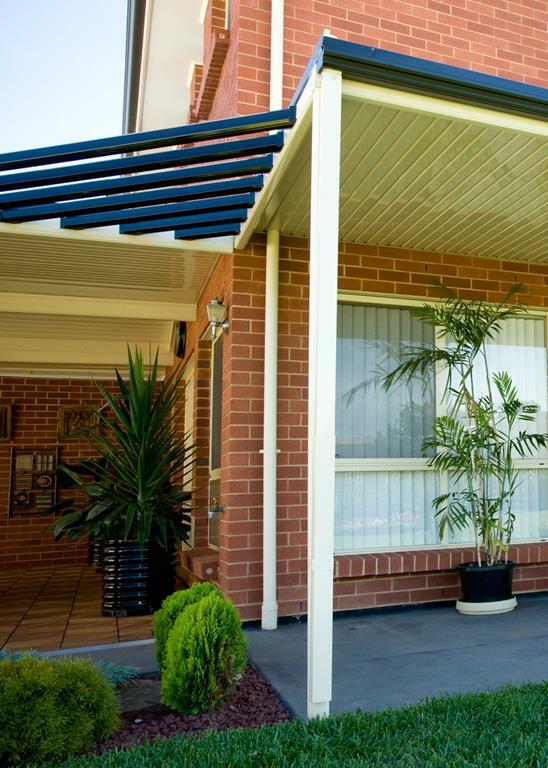 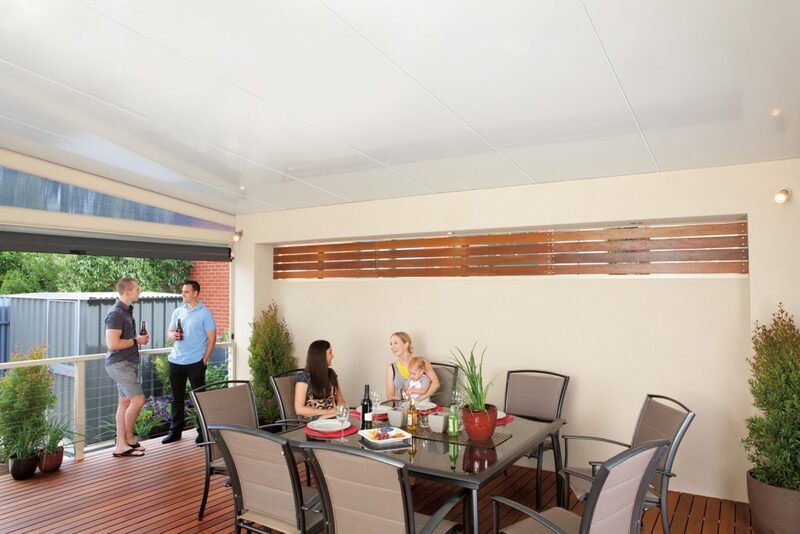 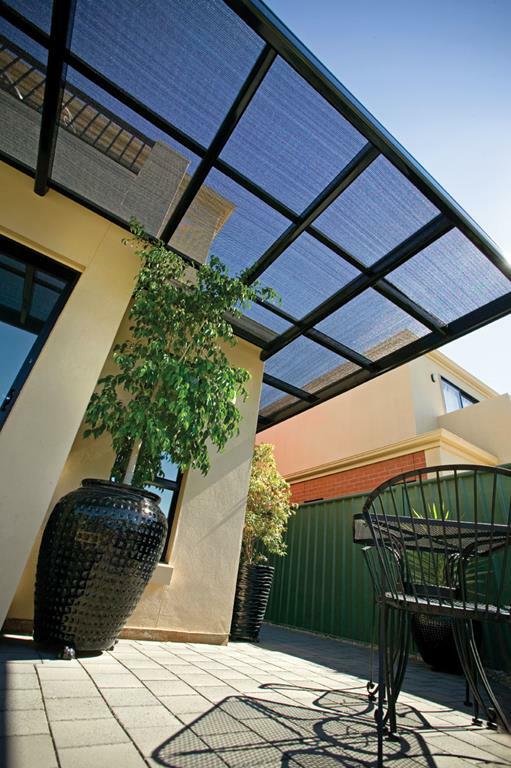 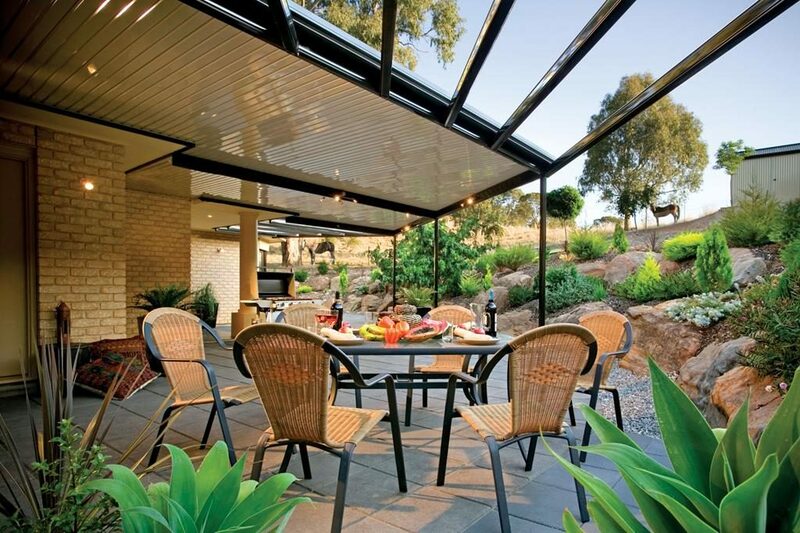 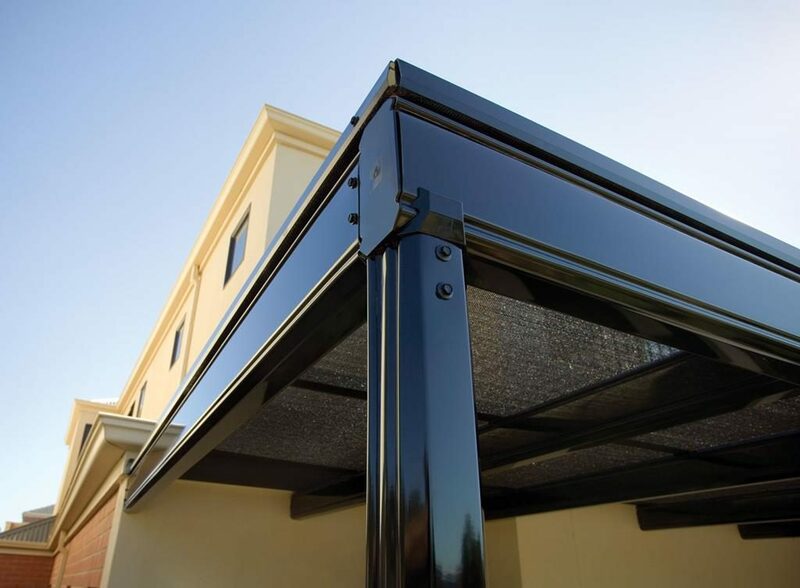 The versatile design of the Stratco Outback Flat Roof Patio allows for it to be utilised as a Flat Roof Veranda or a Flat Roof Carport, depending on how you want to use it. 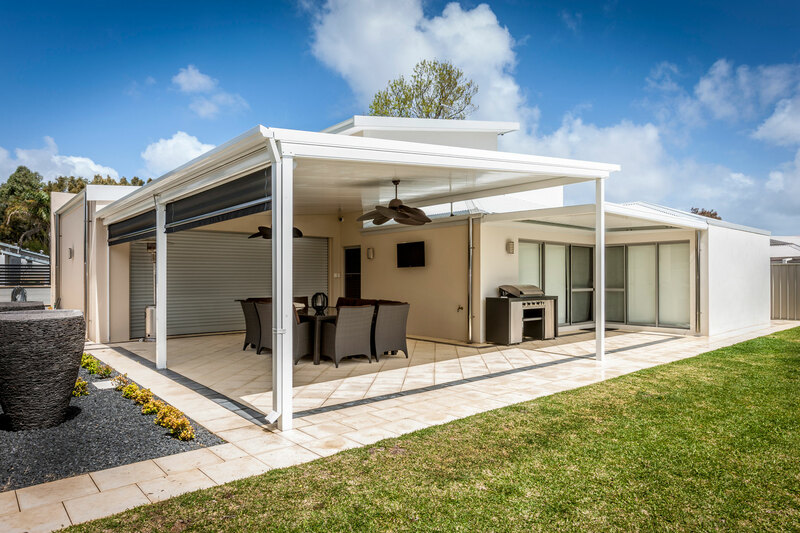 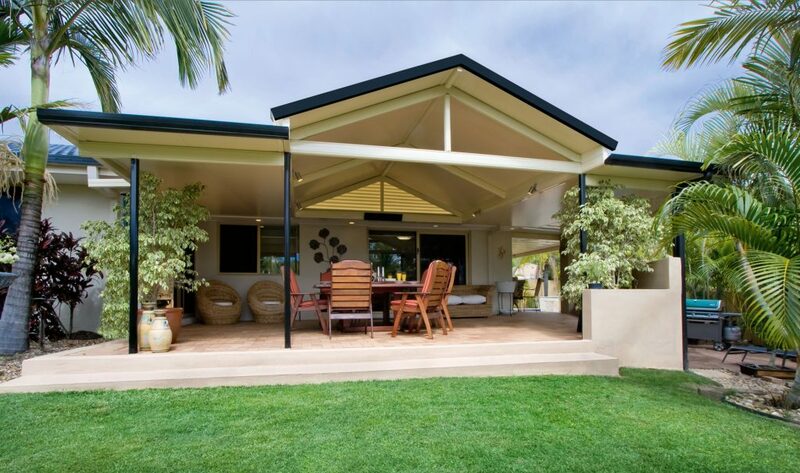 The addition of a gabled roof, curved roof or pergola system turns the simplicity of the design into a smooth, uncluttered space that can be used as a freestanding structure or attached to the home. 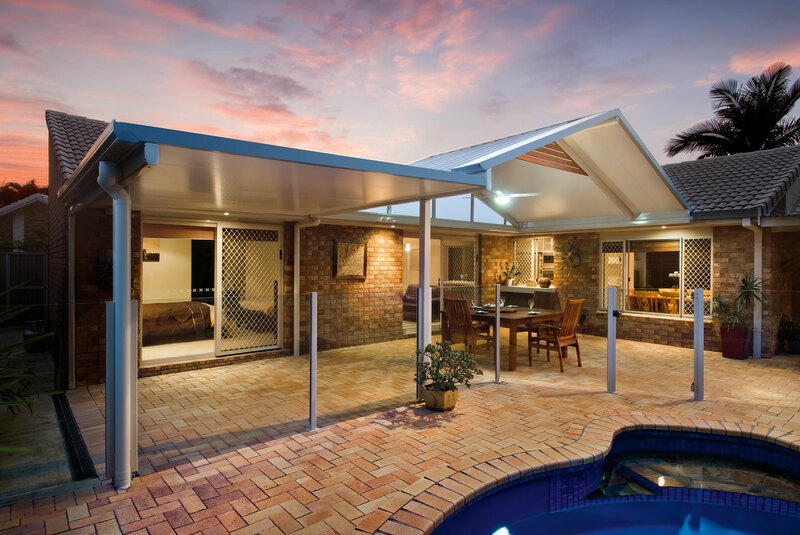 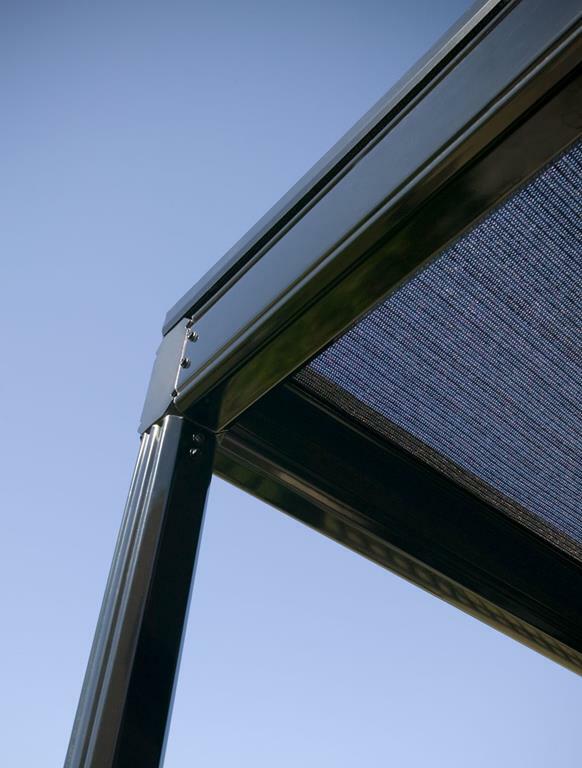 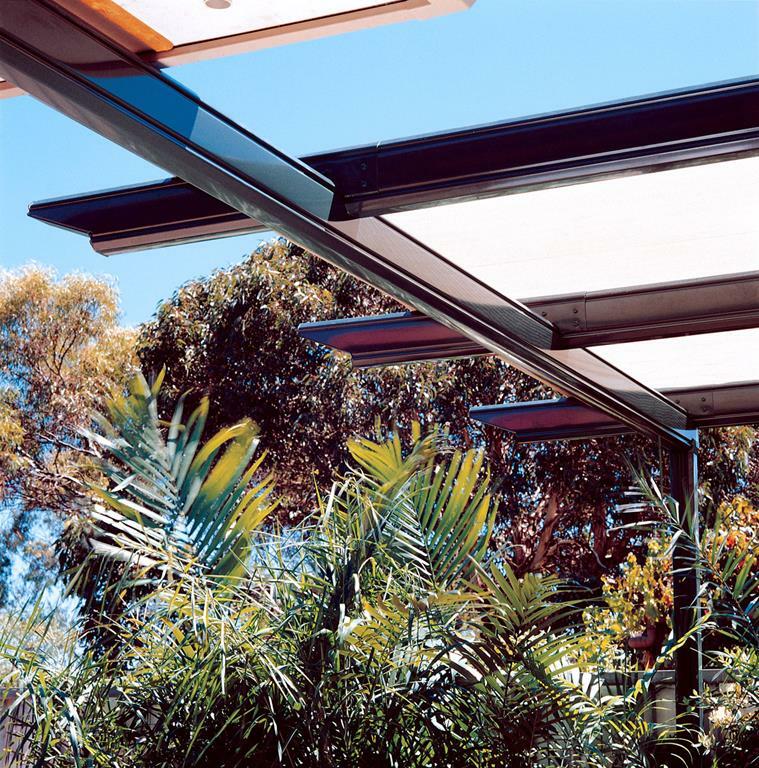 If using the space as a freestanding patio area, adding an Outback Rooflite brings filtered light, and its beams can be up to 8.4 metres to allow for extra height if needed. 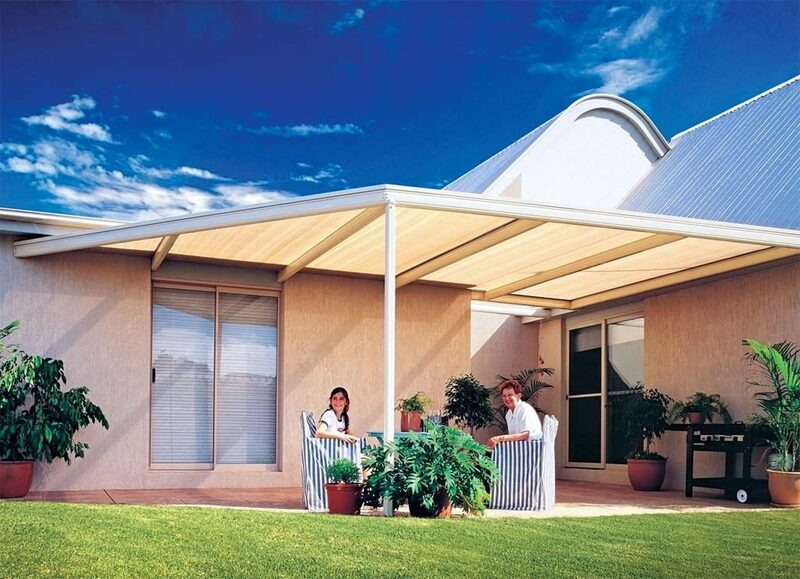 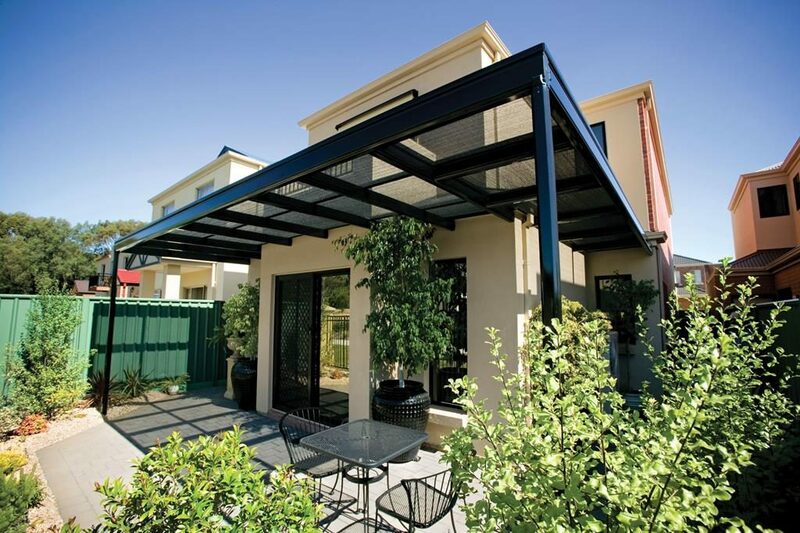 If you’ve always wanted a freestanding patio area or veranda but are not sure about how to design it, Stratco has done the planning work for you, with 4 different designs suited to any patio or carport space. 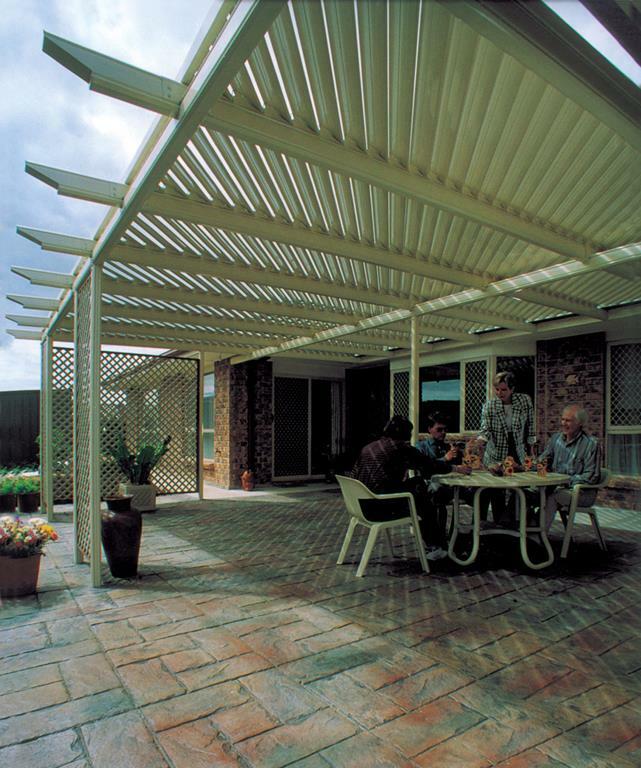 Type One has a 4.5 metre span, only requiring one outside beam to support the structure (although many people choose perimeter beams on all sides for the best appearance). 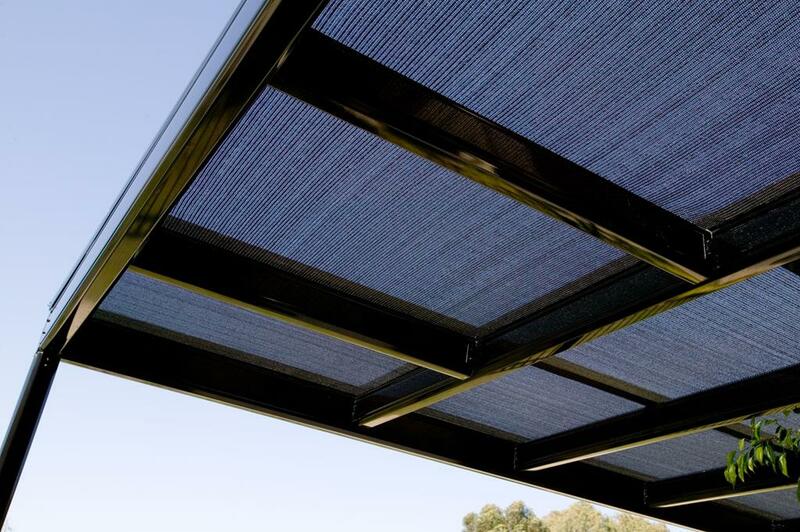 Type Two is almost identical to Type One, but has a front overhand to increase the covered space to 5.4 metres. 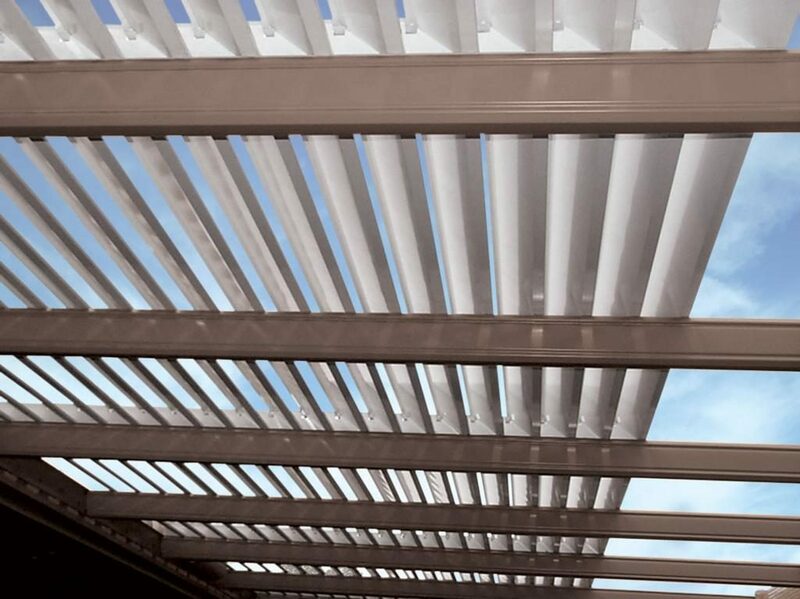 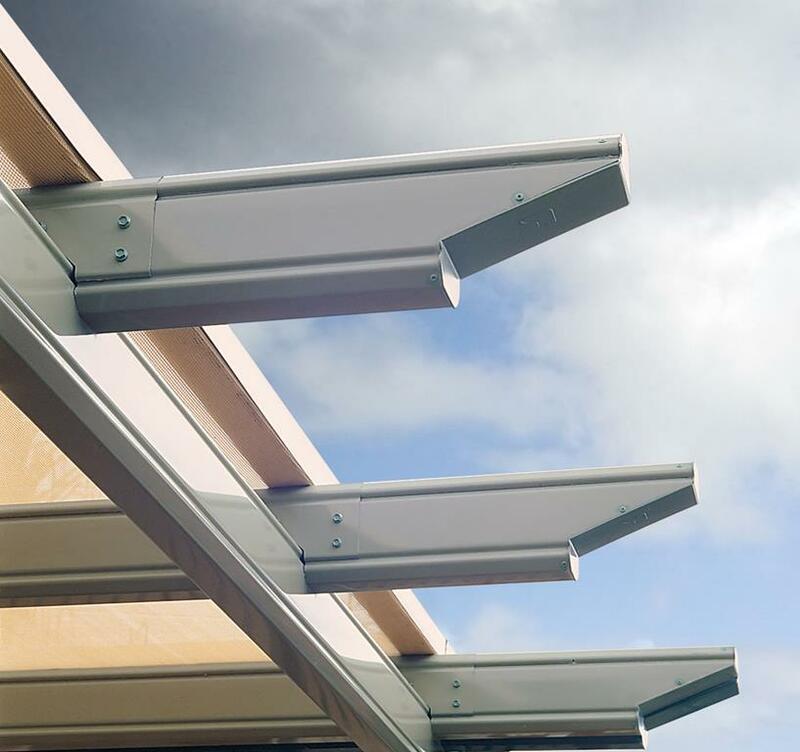 The Type Three design has support beams running across the span, allowing for the roof sheets to run horizontally to provide a different look and feel for the space. Type Four increases the available space with the addition of extra support beams, giving the enclosed space an 8.4 metre span.